The red news of massacre and blood? Dedicated to all our 1.5 million Armenians, and my grandparents and great grandparents, who were some of the few victims of this horrific act by the hands of the murderous turks. This site includes graphical photos of the turks’ horrific acts. Viewer discretion is advised. Truth Hurts! 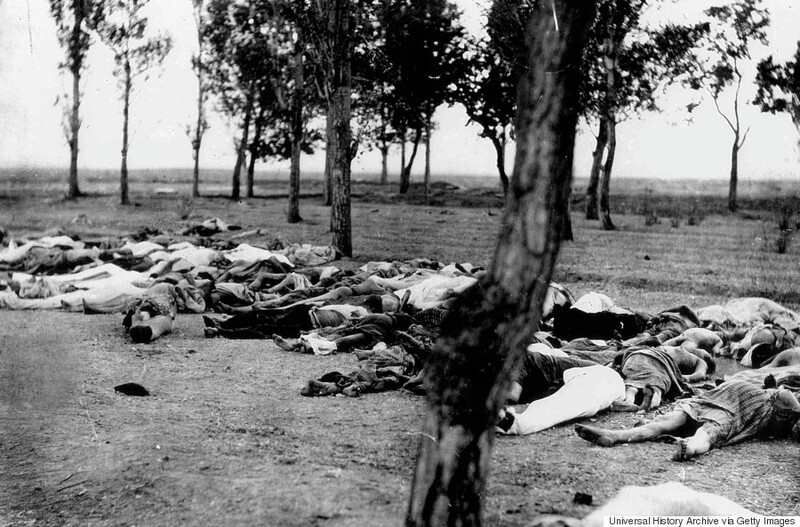 Armenians killed by Turks during the Armenian Genocide, 1915. (Photo by: Universal History Archive/UIG via Getty images)By 1914, the young turks were in total control. However, the world was in a panic. The first World War was going to start. By 1915, there was turmoil. The young turks viewed this as a great opportunity to do something about the Armenians…something terrible…and get away with it by blaming it on the War; and, finally they came up with the most inhuman and murderous solution: GENOCIDE. The young turks must have written the preceding passage, since It describes exactly what happened during the bloody genocide. 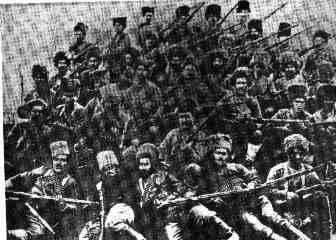 In the eve of April 24, 1915, the darkest night in the Armenian history, the young turks put the word out on the streets that turkey was at war and needed the helping hand of the “fellow” Armenians, aged 16 to 60. Armenians feeling grateful to the young turks for providing them a the promised “good life”, followed the turks, “blindly”, in the back of trucks with covers on them…so they wouldn’t know where the turks were taking them. Little did they know that their “fellow” turks were not leading them to war, but instead, to torture camps, equipped with “murder”. 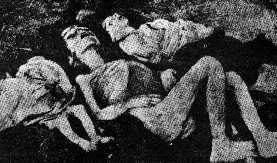 All the Armenian men, including doctors, lawyers, politicians, authors…the “brains” of each Armenian community…were tortured (nails plucked out, eyes burned by iron rods, blazing with heat), dismembered (ears, noses, lips, fingers, toes, limbs and even their heads cut off), burned in “cave” ovens, and crushed to death (they were forced into a cave, which the turks blew up, making the caves collapse). The turks did not stop there. 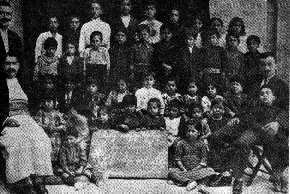 The only Armenians left now were the helpless women, children and elders, who were absolutely ignorant as to what had happened to their husbands, fathers, brothers and sons. They were easy preys to the vicious turks. All of them were forced to flee their homes with “promises” of going to a “safer” place…away from the war.Little did they know they were going to be forced south, to Syria, through the infamous Dier-el-Zohr desert, where famine, dehydration and death awaited them. 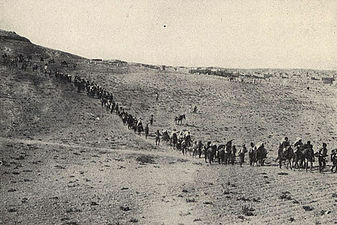 Convoys consisting of the women, children and elders set out to the desert. 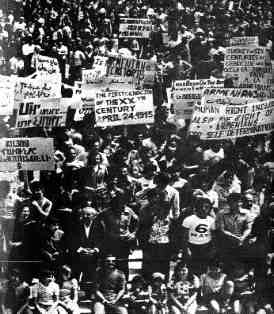 During the long march, women were being raped. Those who wanted to avoid it, jumped in the rivers or committed suicide, as did the women who couldn’t bear the shame and humiliation. Children, most of them orphans now, were sold into slavery. Those who were very young, were given away to turks, to be raised as turks. Elders who couldn’t keep up with the convoy, were shot to death right there, in front of their families. 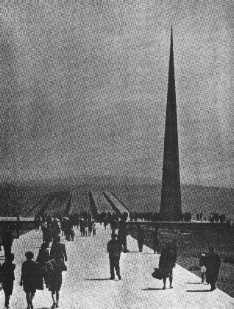 The turk’s goal was very simple, yet very heartless and barbarous: To kill every single Armenian except for only ONE to be displayed in the Museum of Ancient Civilizations. Have we sought revenge? 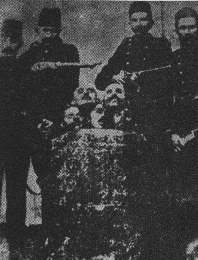 throughout the years, there have been some who have taken the law in their own hands and punished the murderous turks responsible: Tehlirian, who, for months followed talaat pasha (the person who had Tehlirian’s family murdered in front of him), all the way up to Germany, to put a bullet through the devil’s head. Tehlirian was acquitted after months of trials and courts…The “Lisbon Five”; five heroic Armenian youths set out from Lebanon to Lisbon, with the mission of capturing the turkish ambassador as a hostage. 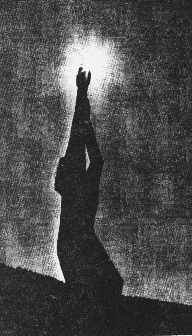 However, when they found themselves surrounded by Lisbon police, in the empty embassy building, from which the ambassador had already escaped, they stood in a circle with a bomb in the middle, holding each other’s hand and praying, and…BOOM… gave their life away in the name of Armenia, in the name of justice, in the name of the 1.5 million victims. 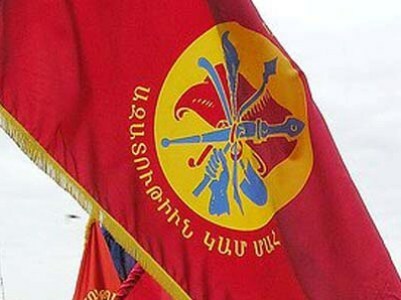 Has the Armenian nation pursued vengeance? Our endurance, persistence, courage, strength and love of life has helped us to be where we are today: They tried to demolish us, they tried to wipe us off the face of this earth…We took on all the blows…and still turned our other cheeks. They “kicked” us when we were “down”…but we waited…then, we took a deep breath…opened our eyes, and realized we were still alive! • talaat was killed by Shoghomon Tehlirian. • said halim by Arshavir Shiragian. • jivanshiri by Missak Torlakian. • jemal by Stepan Dzaghigian. • beheaeddin shakir by Aram Yerganian. Who fell victim to the first genocide of our century. We cherish their memories as we pray for their souls. They who miraculously survived the carnage. Is beyond the ability of any historian’s account. It is proof of what the sturdy Armenian race can do. Their history has been a record of insurrections and resurrection. Words associated with turks and turkey were NOT capitalized Intentionally!